The years bring many changes for all of us, some we never reckoned on! Christmas is a time of reflection; it is also a season of hope. As we approach the end of the year, it is natural to look back with contemplation and reflection. At Christmastime our hearts turn toward home. We remember our childhood and those we love who may no longer be with us. We think about the challenges of the past year, as well as the many blessings, and wonder what the future holds. We contemplate the unexpected things experienced, and often looking back, we clearly see the hand of God guiding, protecting and providing all along the way; even in adversity. Love brings healing and offers hope. 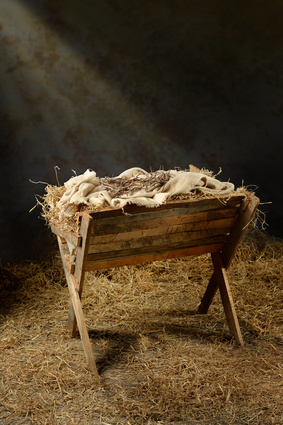 Christmas is God’s love manifest in the person of His son, Immanuel. Christ came to this earth to take away our sins. He also came to love, heal and restore our souls. God is our peace, and through sorrow, He is our comfort. In times of uncertainty, He is our assurance and hope. I am thankful that when we are weak, scripture tells us, He is strong. This Christmas remember the words to the song written so long ago. “Love Came Down at Christmas!” Meditate on The Promise and read again Isaiah 9 and other beautiful passages concerning the coming of Messiah. Remember, God watches over His word to perform it. He makes it happen, just as Isaiah said. Take time to listen to lovely Christmas music. Gather together with family and friends, and make every effort to be thankful and enjoy time spent together. Cherish your loved ones and by your actions show them you care. Give the gift of love this year along with Christmas hope and cheer. Give words of faith and encouragement, and be kind. Everyone can be kind! May joy and laughter be the hallmark of the season. Seasons come and go, but the simple gifts of love we give are the gifts that last a lifetime!